Relieved to be back home. The week-long trip to Florida took its toll in excess stress and expense, and especially lack of sleep. My home may be small and cluttered, but it is my little kingdom. Leaving the pets aboard while I was gone was entirely too stressful, so the next time I have to make a trip I think they will have to be boarded somewhere, as much as I hate to move them around. Here are some photos and notes from the Florida Keys trip. I did very little shopping on the trip because the budget has crashed and burned. But I did buy these little mementos, as well as a Conch Republic deck of cards. 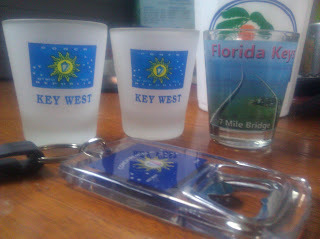 I couldn't pass up the 7 Mile Bridge shotglass since that was my last, hardest, but fastest leg of the race. The one thing I wanted to do in the Keys was snorkel. During my years in Miami I snorkeled often, whether in a swimming pool, Elliot Key, Key Largo, Marathon and Duck Key, Looe Key, the Bahamas, or Barbados. I wanted to head out to Looe Key but the dive shop I booked with did not get enough people for a morning snorkel trip. I prefer morning to afternoon for snorkeling and knew the weather would be getting rougher, so I scrambled to find an alternative. I ended up rushing to downtown Key West by cab to make a catamaran snorkel cruise. It only offered an hour of snorkeling, but I figured that would be better than nothing. I've never been a strong swimmer, but got generally comfortable snorkeling and always preferred to be without a flotation vest, but they are often required on commercial snorkel trips. I never dive below the surface, content to float along above all the action below. While the 70-degree water temperature may sound warm to northerners, I couldn't really imagine comfortably swimming in less than 75-degree water, and 80 is much better. I knew I would need several minutes adjusting to the cold water before attempting to snorkel, and just getting used to it again since I hadn't snorkeled in several years. I had mostly been spoiled going out on days the sea was glassy, but I remembered a couple of trips with little waves and how sore one gets from having to swim in those conditions. It was pretty choppy on this trip and I had a feeling I wouldn't want to be in the water long. I made the mistake of turning my back to the breaking waves and one broke over my snorkel--so I got a mouth full of seawater when I was expecting air. I choked and panicked. As would be my luck, it was the one hot guy on the cruise that was nearby to save me. So humiliating. I never want guys to see me as a damsel in distress; I want them to see me for the strong, independent girl I usually am. He and a girl with him tried to calm me down and helped me get back to the catamaran. I put air in my flotation vest and was going to try using a noodle float, but getting continually bounced around by the waves just wasn't fun. I opted to enjoy taking sun on the deck and getting a little cruise. At least I am comfortable aboard; several folks around me were complaining about being seasick. I am loathe to swim in the murky Chesapeake, but will have to force myself to get in the water and get comfortable with my snorkel and fins again. I also need to practice holding my breath and swimming under water. If I get caught up in crab pots and foul my propeller, I don't have anyone else to come save me, so I'll have to learn to do it for myself. 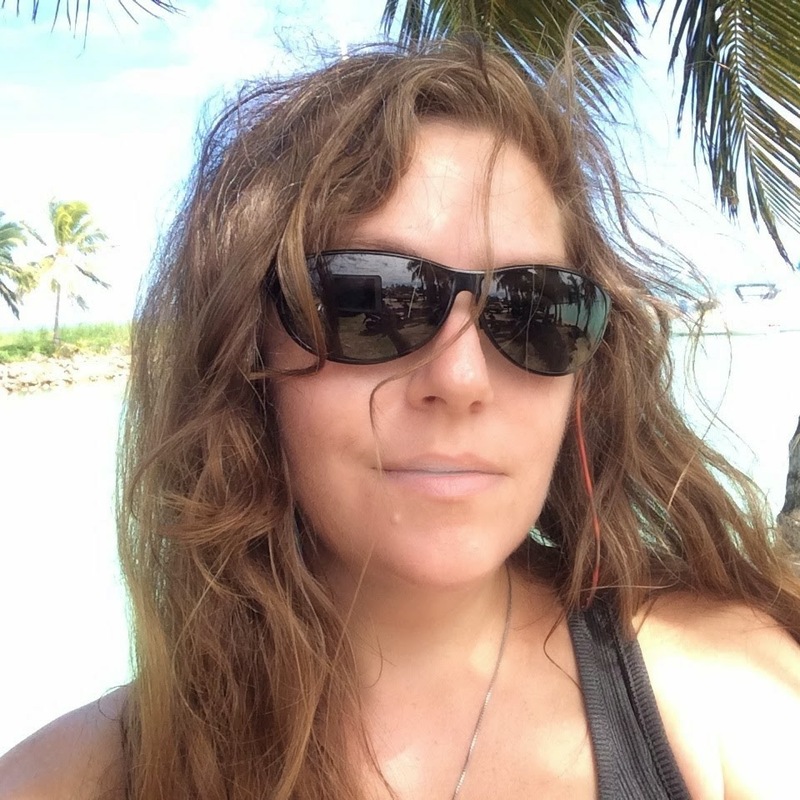 But I'll still be looking forward to someday being back in the clear Bahamian waters for a pleasant snorkel watching colorful fishes--hopefully sans sharks and barracuda. The night before the snorkel cruise our group went out and about in Key West. One of my friends had had enough to drink that we could convince her to get a henna tattoo, and we were waiting there for her to get it done. Rather than stand on the crowded sidewalk I wandered into the little t-shirt shop to kill time. I was quickly confronted by a store employee asking if I needed help. I explained I wasn't really shopping and just waiting on my friend getting tattooed. 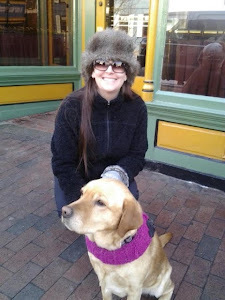 As we stood there chatting, (okay, I'll admit here he was really cute, and I don't usually go for blondes), somewhere in the conversation my being from Annapolis came up and he mentioned stopping in Annapolis recently when sailing his boat down from New York. Naturally, my eyes lit up and I told him I'm a liveaboard. He looked so familiar that I wouldn't be at all surprised if he stopped into Davis' Pub in Eastport and I had been checking him out there. I belly-ached a bit about the travails of winter aboard and he encouraged me to sail down to Key West right now. I balked that the weather window is long past, but he brushed off that notion. 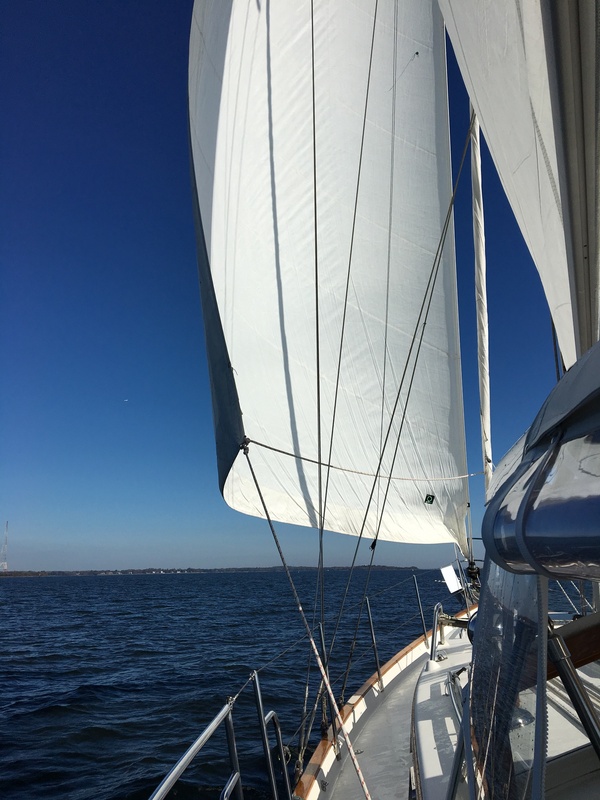 Even if the weather cooperated, I don't have the resources to sail away yet. But I said I'd likely be down there in the fall and listened intently as he described the costs and amenities for living aboard in Key West. He had moved ashore, but advised that many liveaboards in Key West do not sail and are only aboard because they cannot afford an apartment there. Apparently, actively sailing liveaboards are more likely to be found up in Marathon. When I needed to get going with my group I introduced myself and got his name, but he said he wouldn't be there anymore by the time I arrive if I wait until fall. He's heading off to meet his brother in Nicaragua and make a circumnavigation. I should have told him that although the oceans are big, it's a very small world; you never know when you'll meet again in some nearby or far-off anchorage. Seeing that there are other floppy-haired sailor guys out there was good for me. "The" floppy-haired sailor guy has utterly blown me off after knowingly, recklessly, and purposefully making me fall in love with him. But he cut me down more than he ever lifted me up. I am so thankful I did not cave in to some of his requests since all those sweet nothings were apparently...nothing. He occasionally proclaimed that he cared about me, but actions speak louder than words. I would never treat someone I cared about the way he treated me, and even someone I lacked or lost interest in would have been treated with respect. I can count on one hand the men, (well, perhaps all were and are boys...), whom I have loved romantically. My love is a rare thing the floppy-haired sailor was a fool to squander. But such is life. The heart wants what it wants, often without rhyme or reason. Although I am heartbroken, I know I deserve better and someday I will find my partner to raft up with. The challenge is that I don't think I could be with someone land-locked but the sailors may always sail away. Key West was in our rearview and the last three of our running group headed for Miami. Along the way we stopped at Bahia Honda beach where I attempted to rescue a Portguese-Man-O-War left stranded on the beach. I had photos of it, but the lens on my phone's camera had some schmutz on it that left all those photos blurred. We then stopped at Robbie's in Islamorada. We browsed the little stands with art, clothes, and knick-knacks. Had a drink at the waterside bar. Fed the tarpon.